← Want A Tasty Way To Go Green? Check Out The Green Dining Club! 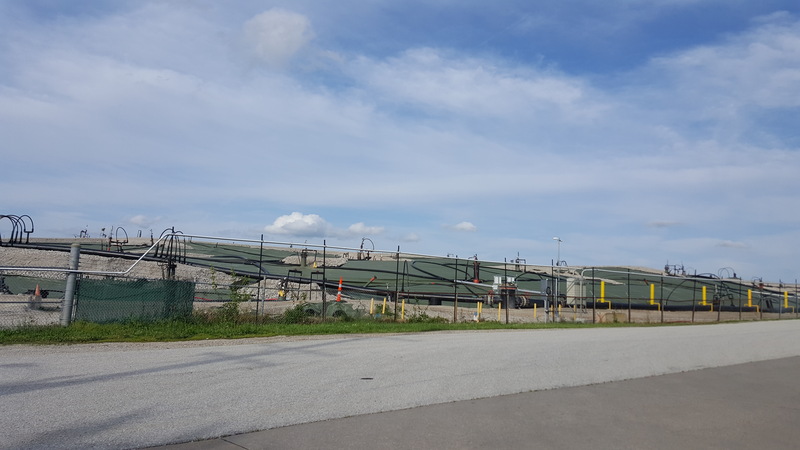 The Potentially Responsible Parties (PRPs) for the West Lake Landfill will begin the Remedial Investigation/Feasibility Study (RI/FS) process for Operable Unit 3 (OU-3) at the West Lake Landfill Superfund Site in Bridgeton, Missouri. OU-3 consists of sitewide groundwater. EPA is requiring the PRPs to perform the investigation to characterize the nature and extent of groundwater contamination from the site, pursuant to an enforceable agreement with EPA. Based on the results of this investigation, EPA will assess whether remedial measures are needed to protect and restore groundwater at the landfill boundary and beyond. If sampling results during the OU-3 RI/FS indicate that action under Superfund law is appropriate, it will be addressed by a future OU-3 Record of Decision. EPA negotiated the Administrative Settlement Agreement and Order on Consent (ASAOC) with Bridgeton Landfill, LLC; Cotter Corporation (N.S.L. ); and the U.S. Department of Energy (DOE). The settlement requires the PRPs to submit a RI/FS Work Plan and Sampling and Analysis Plan within 120 days of the effective date of the ASAOC. The PRPs are also required to provide financial assurance for completion of the RI/FS. EPA also worked in close cooperation with the Missouri Department of Natural Resources (MDNR) on the preparation of the ASAOC, and the OU-3 RI/FS will require ongoing coordination with MDNR. EPA remains committed to keeping the community informed of the status of the investigation as it progresses. The West Lake Landfill Superfund Site is an approximately 200-acre, inactive solid waste disposal facility located in Bridgeton. The site was used agriculturally prior to 1939 when a limestone quarrying and crushing operation began. Beginning in the early 1950s, the quarried areas and adjacent areas were used for landfill municipal refuse, industrial solid wastes, and construction/demolition debris. Two areas of the site were radiologically contaminated in 1973 when 39,000 tons of potentially contaminated surface soil, mixed with 8,700 tons of radioactive leached barium sulfate residues, were reportedly stockpiled at the site and use for landfilling operations. EPA placed the site on the National Priorities List in 1990. This entry was posted in Environment and tagged EPA, Groundwater Contamination, Radioactive Waste, West Lake Land Fill Contamination, West Lake Landfill, West Lake Landfill Fire. Bookmark the permalink.